7-Quick Takes - the colonoscopy chronicals. This week's post is mostly about my colonoscopy last week. It might be helpful to those of you who have that particularly procedure to look forward to in the future. 1. Ever since I was a little girl, I have had elusive pains in my "stomach." Nothing sharp or disabling, but a vague sense of discomfort and aching. I can remember this as early as the fourth grade when we were trying to learn long division and I just couldn't seem to get it. I remember being doubled over in pain unable to even straighten up. I also remember going to the emergency room when I was on vacation with my family because my "stomach pains" came back. I endured x-rays and a barium swallow but nothing was ever found and I learned to deal with my abdominal discomfort - usually by taking a really hot bath and then going to bed sleeping on my stomach. Those two things always helped. 2. Until this summer when a heavy duty antibiotic brought on a fresh bout of bleeding which lead to last week's colonoscopy. The colonoscopy is sort of a rite of passage for 50 year olds. It's something your supposed to do shortly after your 50th birthday and it becomes a sort of a stigma and sticking point for every year you postpone it. So because of the new bleeding I just decided to face my fears and get it done. I chose a local gastroenterology center that does colonoscopies all day long over getting it done at the hospital. I was told that it would be more cost effective, but I also liked the idea of going somewhere that sort of specialized in this procedure since it's not entirely without risks. I have to say that the entire procedure was not too bad. I had to go without food and only consume clear liquids the day before. The actual Miralax and Dolculax prep was overall pretty gentle, as far as bowel preps go. 3. The actual procedure wasn't too bad either. They started an IV and wheeled me into the procedure room. I got to meet with the nurse anesthetist who asked me a lot of questions and then finally my gastroenterologist talked to me about what he was going to do. But once the Propofol kicked in, I could have cared less. I was asleep and even dreaming! When I woke up I was alert quickly and able to think clearly right away. That part was a good experience. I also liked that my gastroenterologist talked to me as soon as I was awake and even sent me home with pictures of my colon! Apparently I have some colitis in the exact same spot as 20 years ago, but only a few other minor problems, and most of all, no malignancies. 4. What they didn't tell me was that there was going to be A LOT of bleeding afterwards. Apparently my doctor was quite thorough with the biopsies and there was lots of blood - enough that I even called on Saturday to ask if this was normal - which I guess it was because no one seemed too alarmed. The other thing they never told me was that it was going to take more than a week to get my bathroom habits re-established. They have been off kilter ever since the antibiotic episode anyway, and doing a full bowel prep and then multiple biopsies didn't help any. I finally started this probiotic the gastroenterologist suggested and things seem to be heading in the right direction, although not there yet. 5. The last thing they forgot to mention was that the prescription of choice for colitis cost over $500!! And that was with my prescription discount. I couldn't believe it! My pharmacy called me immediately after the prescription was called in to let me know about the cost. Needless to say, I didn't fill it over last weekend and by Monday I was so busy with Suzy Narrownares that I forgot to call and ask for a different prescription. It wasn't until yesterday that I was able to get them to change it to my old standby - Proctofoam - which was only $75. 6. 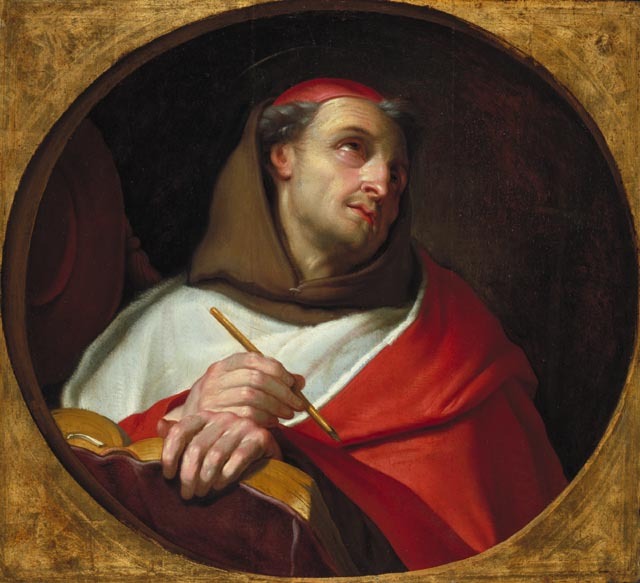 The patron saint of bowel disorders is St. Bonaventure. Apparently he died very suddenly after experiencing very severe abdominal pain!. Perhaps it was a simple bowel obstruction or even appendicitis! Who knows! But that is how he came to be the patron of all afflictions of the bowel. O sweetest Lord Jesus Christ, I implore Thee, pierce the very marrow of my soul with the delightful, health-giving dart of Thy love, with true, tranquil, holy, apostolic charity, so that my whole soul may ever languish and faint for love of Thee and for desire of Thee alone. May it long and pine for Thy courts; may it ever desire to be dissolved and to be with Thee. Grant that my soul may hunger for Thee, Who art the bread of angels, the comforting nourishment of all holy souls, our daily and most delectable bread, our supersubstantial bread, in which is found every sweet delight. May my heart ever hunger for Thee, on whom the angels lovingly gaze; may it feed on Thee; and may the innermost depths of my being be filled with the sweetness which comes from having tasted Thee. may I always follow thee and reach Thee; may Thy holy name be in my heart and on my lips; and to Thy praise and glory may every work of mine be done. Humble and discreet, loving and happy, ever ready and cheerful in Thy service, may I persevere, by Thy grace, even unto the end. Be Thou alone and evermore my hope; be Thou all my trust; be Thou my wealth, my delight, my joy, my consolation, my rest, my endless peace. Be Thou to me as a goodly taste, as a pleasant perfume, as a soothing sweetness. Be Thou my food and my refreshment; my refuge and my help; my wisdom; my portion, mine own possession and my treasure. In Thee, O Lord, may my mind and my heart remain fixed and firm, and rooted immovably for evermore. We offer a convenient, open access colonoscopy in Los Angeles . 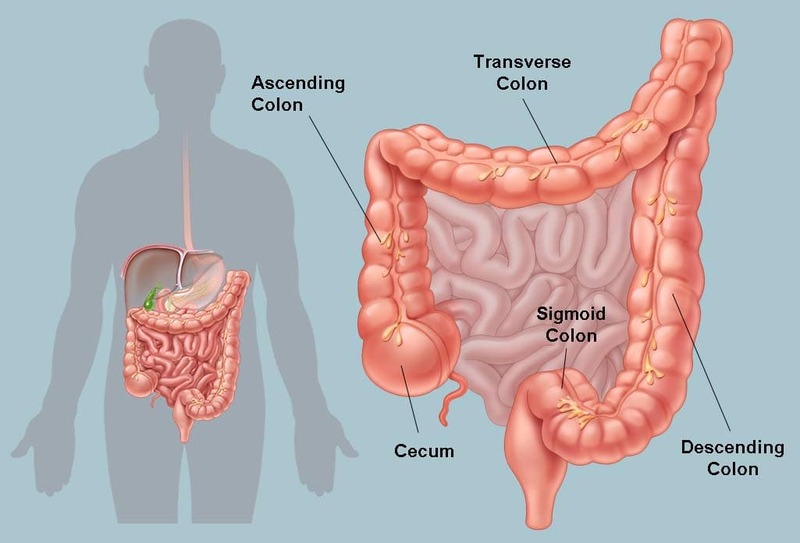 You can set up an appointment for colon cancer screening examination, without first having to obtain a customary referral from another physician. Our flexible scheduling allows an appointment with our GI doctor usually within 1-2 week of calling. For those busy individuals who have other matters to attend to during work days, we provide Saturday appointment for your convenience.